Serenity awaits at this immaculate Whitney Oaks home. 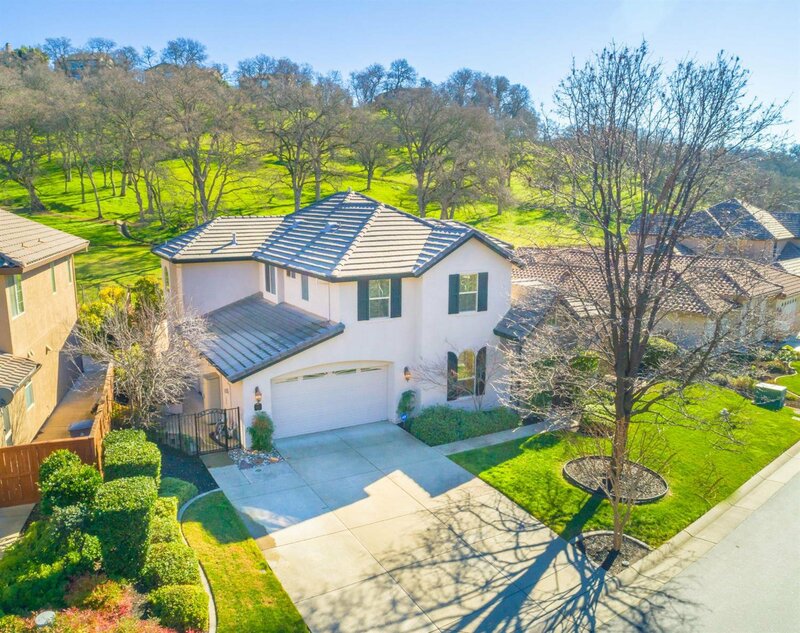 Located within a gated community, this property boasts lush park like views in the front and backs up to gorgeous Oak studded hills. Ample room to entertain indoors with a formal living room, breakfast nook, and great room with a cozy fireplace. The generously sized kitchen provides plenty of cabinet space, pantry, NEW stainless steel appliances, and granite slab counters. The gently winding staircase leads up to spacious bedrooms and landing overlook. Expansive master suite offers a luxurious soaking tub, his/hers closets, walk in shower with dual shower heads, and scenic views from the balcony off of the California room. Enjoy the outdoors year round with the covered patio, seasonal flowering trees, and pristine pool w/water feature. Located w/in arguably one of the best school districts in the Tri-County area. Experience the Whitney Oaks community of Rocklin today! Listing courtesy of Exp Realty Of California Inc.. Selling Office: Better Homes and Gardens RE.